In the course, we discussed The House of Mirth, which is still my favorite Wharton novel, but I immediately read the rest of her work. I even came to love (or hate, after all they are so similar) Undine Spragg in The Custom of the Country. But Wharton is probably most well known for The Age of Innocence, which is, of course, amazing. The film adaptation by Martin Scorsese was a box office disaster but still one of my favorite movies, executed with amazing detail and starring Daniel Day-Lewis, Michelle Pfeiffer, and Wynona Rider. I’m a fan of updating classics, (See my review of For Darkness Shows the Stars by Diane Peterfeund, a YA sci-fi/dystopian update to Austen’s Persuasion.) When I read that a debut author was updating this classic, I was both excited and terrified. Knowing how much I love the original, I knew I would either be thrilled or devestated. Would taking this story out of the social constrictions of late 19th century New York ruin it? 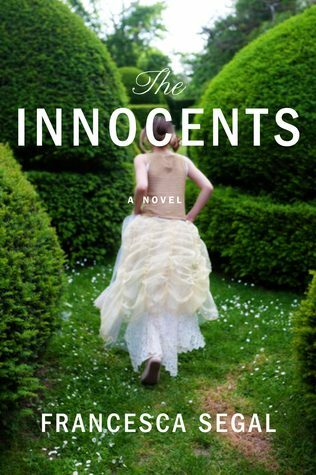 A smart and slyly funny tale of love, temptation, confusion, and commitment, The Innocents is a generous and deeply satisfying look at a close-knit society in which one young man’s pre-wedding panic illuminates the universal conflict between responsibility and passion. Newly engaged and unthinkingly self-satisfied, twenty-eight-year-old Adam Newman is the prize catch of Temple Fortune, a small, tight-knit Jewish suburb of London. He has been dating Rachel Gilbert since they were both sixteen and now, to the relief and happiness of the entire Gilbert family, they are finally to marry. To Adam, Rachel embodies the highest values of Temple Fortune; she is innocent, conventional, and entirely secure in her community—a place in which everyone still knows the whereabouts of their nursery school classmates. Marrying Rachel will cement Adam’s role in a warm, inclusive family he loves. I loved this novel. By moving the story to modern times and setting it in Jewish North London, Segal managed to make it entirely her own but still construct a believable world with the tight-knit social circle and community expectations that are the foundation for the novel’s conflict. Adam was equally parts frustrating and endearing, just as Rachel was simultaneously annoying and pitiable. Ellie was enigmatic and enchanting. Though I knew how the original would end, I was still on the edge of my seat until the last pages, wondering what would come of Adam’s passionate love for Ellie and his commitment to Rachel. I loved the Jewish aspect of the book. I was raised in a very monocultural small town, and didn’t meet my first Jewish person until high school. He was a fellow debater from a rival school, and I immediately developed a huge crush on him (of course, he was gay). In college, my roommate converted from Catholicism to Judaism on the hopes of marrying her Chicago Jew boyfriend, so I learned a lot about Jewish culture from witnessing that, but still delighted in the details that Segal weaved into the story. I read the novel in the course of one day, which is my favorite way to read novels. Though I checked it out from the library, I plan on purchasing a copy of my own so I can reread it at my leisure, studying the structure and elegantly crafted sentences. This was a startling debut for Segal, and I look forward to reading more of her novels in the future. Sounds fascinating, and I would be interested in the Jewish aspect of the novel. I grew up in a Jewish neighborhood and my children attend a Jewish preschool, though we are not Jewish.